A partner in the firm, Ronald J. Scholar brings over 24 years of experience to his representation of public entity and private business clients. 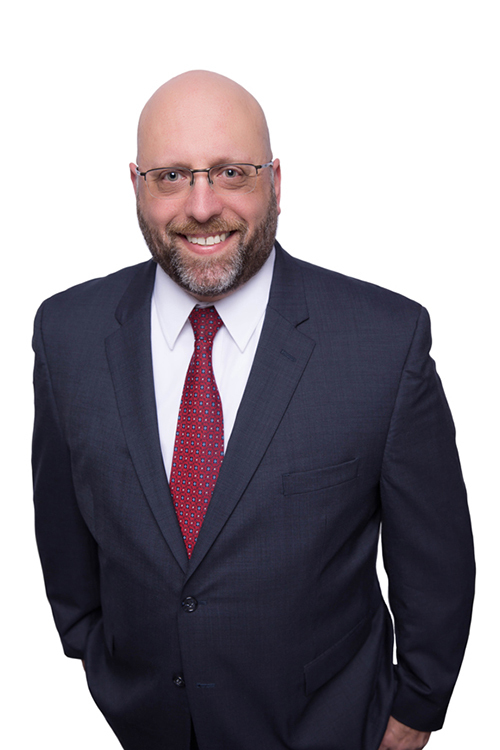 Ron’s expertise is in litigating on behalf of, providing advice and counsel to, and conducting investigations for public agencies and private clients in matters involving employment law, civil rights, and general liability matters. A skilled trial attorney, Ron is experienced in a wide range of litigation matters, including federal and state civil rights, Section 1983, employment law, dangerous conditions of public property, including claims of wrongful death, as well as contract and business disputes. Ron dedicates the same focus and attention to detail in his trial practice to advising public agency and private clients as he assists them in navigating complex laws and regulations and conducting investigations, all with an eye toward avoiding costly disputes. He is adept in matters involving access to public records, open meeting requirements, employee investigations, law enforcement, discipline and arbitration, discrimination and harassment in the workplace, employee privacy, and the use of social media and technology in the workplace. Ron joined Cole Huber LLP after 11 years with one of Sacramento’s largest law firms where he was a shareholder and represented numerous public agencies and private clients in employment, liability, law enforcement, and litigation matters. From 1998 to 2005, Ron was a partner at a small Sacramento law firm where he specialized in representing public entities in all manner of litigation, including Section 1983, law enforcement, and employment matters. Prior to that Ron was a Public Defender in Atlanta, Georgia, where he represented indigent defendants in felony criminal matters at trial and on appeal. Ron graduated from Santa Clara University School of Law in 1993. At Santa Clara, Ron was an Emery Scholarship recipient, a member of the Moot Court Honors Board, and a participant in nationwide Moot Court Competitions. Prior to attending law school, he graduated with honors from the University of California, Santa Barbara in 1990 with a Bachelor of Arts degree in Sociology. Ron was named to Sacramento Magazine’s Top Lawyers List for 2016. He also enjoys the privilege of serving on the Presiding Judge’s Civil Advisory Committee for Sacramento County Superior Court. A founding member of the Sacramento County Bar Association’s Civil Litigation Section, Ron has also served as one of its Board Members and its Chairperson. Mr. Scholar also serves as an Adjunct Professor of Law at the University of California, Davis School of Law, where he is also a Mock Trial Competition Team Coach. Ron brings the same level of passion he has for his clients to his other love, the art of landscape and wildlife photography. He enjoys annual trips down California’s Highway 395 to photograph the fall color in the Eastern Sierras, winters in Yosemite and chasing after birds large and small throughout the Central Valley’s many wildlife refuges. A supporter of youth aquatics programs in the Roseville area, Ron has served on the boards of directors for California Capital Aquatics, the Woodcreek Seawolves, and Woodcreek High School Aquatics.